"En su evaluación, el Tribunal Ético concluyó que Barrick Gold causa severos daños ambientales como resultado directo de sus operaciones"
Mediante un comunicado de prensa fechado el 30 de enero de 2009, y basándose en una recomendación del Tribunal Ético de su Fondo de Pensiones, el ministerio de Finanzas de Noruega reveló hoy su decisión de excluir a la empresa minera multinacional Barrick Gold de dicho fondo, ante el riesgo de estar contribuyendo con esas inversiones a daños severos en el medioambiente. "En su evaluación, el Tribunal Ético concluyó que Barrick Gold causa severos daños ambientales como resultado directo de sus operaciones. Por lo tanto, he seguido su recomendación y hemos excluido a Barrick Gold del universo de inversiones del fondo" dijo la ministra de Finanzas Kristin Halvorsen. Barrick Gold es la mayor minera de oro del mundo, con 27 minas en explotación. Varias de ellas están emplazadas en la Cordillera de los Andes, entre Argentina y Chile. La decisión de Noruega debería llamar a la reflexión, al menos, a las autoridades argentinas y chilenas, que han reducido la cuestión de Pascua Lama a un mero "diferendo impositivo". Mientras tanto, la oposición social al proyecto crece a ambos lados de la frontera. ¿Hasta cuándo van a seguir jodiendo con este tema del oro? 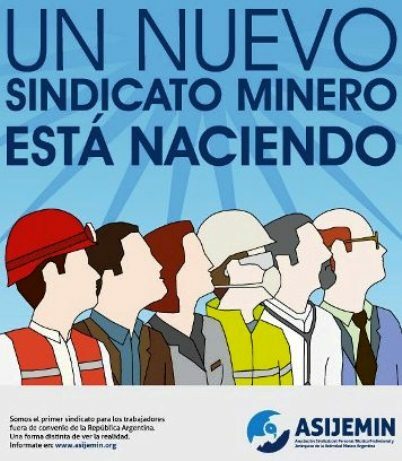 ¿No les entra que hacer minería en fuentes de agua, cabeceras de cuenca o glaciares es un crimen? Based on a recommendation from the Council on Ethics for the Government Pension Fund – Global, the Ministry of Finance has excluded the Canadian mining company Barrick Gold Corporation from the Fund. Barrick mines for gold in the Porgera mine in Papua New Guinea. The recommendation is based on the assessment that investing in the company entails an unacceptable risk of the Fund contributing to serious environmental damage. "Pursuant to the Ethical Guidelines, the Government Pension Fund – Global should not invest in companies that cause severe environmental damages. In its assessment, the Council on Ethics concluded that Barrick Gold Corporation is causing severe environmental damages as a direct result of its operations. I have therefore decided to follow the Council on Ethics’ recommendation on exclusion of Barrick Gold Corporation from the investment universe of the Fund," says Minister of Finance Kristin Halvorsen. Barrick Gold is a Canadian mining company and the largest producer of gold in the world, with 27 mines in operation. The Council points out that Barrick Gold’s mining activities in several countries have been accused of causing extensive environmental damage. Due to limited resources, the Council has restricted its investigation to the Porgera mine in Papua New Guinea, which is run by Porgera Joint Venture, in which Barrick Gold has a 95 per cent stake. In the opinion of the Council, the way this mine is run provides sufficient basis for recommending exclusion. The Council provides an extensive review of the environmental problems linked to depositing waste in the river. The Council attaches particular importance to the risk of accumulation and build up of heavy metals, especially mercury, in the environment. Pollution from the Porgera mine will potentially have serious negative consequences for human life and health. The Ministry of Finance has considered the matter in light of the Council on Ethics’ recommendation and has decided to exclude Barrick Gold Corporation from the investment universe of the Government Pension Fund – Global, in accordance with the Ethical Guidelines for the fund. In a letter dated 30 September 2008, the Ministry of Finance asked Norges Bank to sell its shares in the company. The shares have now all been sold. At the end of July 2008, the Government Pension Fund – Global owned shares worth just under NOK 1 248 million in the company. The decision to sell is made public after the shares have been sold, so as not to affect the sale. The recommendations from the Council on Ethics for the Government Pension Fund – Global are published on the Ministry of Finance’s website. Read more about the Council on Ethics for the Government Pension Fund – Global at www.etikkradet.no. Companies Excluded from the Government Pension Fund – Global's investment Universe.